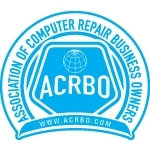 Located at 1321 East 12th Street, Ground Floor in Brooklyn, we provide professional computer services for local small and medium size businesses. Specializing in computer service, maintenance, repair, upgrades and more. Day to day office work does not require the cost of procuring a full time IT department. We troubleshoot your computer issues including fixing and speeding up slow computers. We advise you on how to keep your business up and running. Do you employ regular backups? Is your network secure? Are your employees spending too much time 'repairing' their own computers instead of being productive? We keep your computers running smoothly and make your company work efficiently with todays technologies.